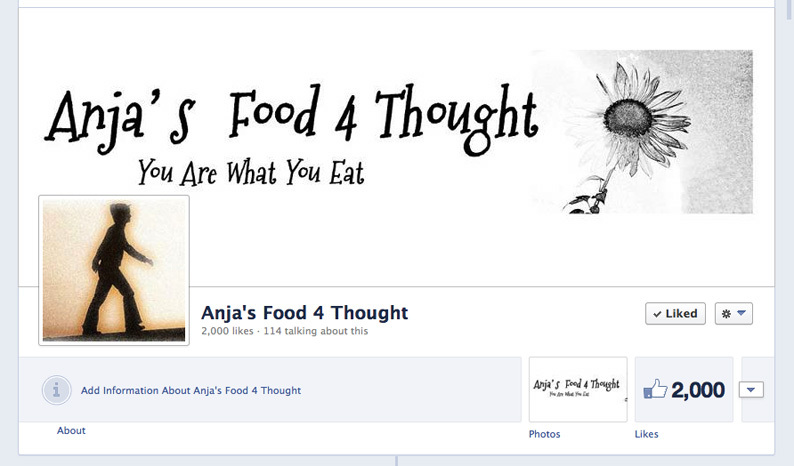 Not long ago, I very proudly announced 1.000 Likes of the Anja's Food 4 Thought Facebook page. To be exact, that was in November 2012. By then, I had blogged for more than three years. I am especially proud of this number because I never forced anyone to "like" me on FB by participating in competitions or give-aways. In fact, I only had one give-away ever on my blog. Some of you may remember it: it was a one-print cookbook with recipes of mine. Someone in America won it. I sent it off with registered mail, but sadly it never arrived. Regular readers may have noticed, I am pretty unsocial when it comes to social media. I hardly ever have more to say than the announcement of a new recipe on the blog. My twitter tweets are automated too. I actually never go onto twitter. Because I can't deal with so much useless information. I sometimes struggle to wade through my emails, many of them of no use or real or personalized information either. I also don't have a smartphone. I see people on their phones all the time. I see couples in restaurants and cafe. They don't talk to each other, as each one is busy with their phone. I always wonder what they are checking. It cannot seriously be life-or-death information that's coming in on a constant stream. Or is it? Why on earth would you be rather checking your FB page or your emails than talking to your partner or friend that you are meeting for lunch? Call me old-fashioned, but I don't get it. 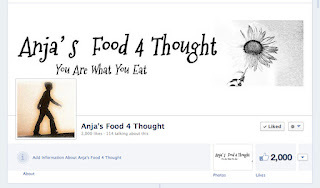 Therefore, and perhaps this is even why some of you like my blog and FB page, I will keep my information output on Anja's Food 4 Thought and my FB page for real and relevant information. This is a recipe blog after all. I will not post on my blog if I don't have a recipe. I will not post on FB just to ask how you are today or what you are having for lunch. Imagine all 2.000 of you would reply.... I'd probably realize that I don't really want to know. Perhaps I should have had a chocolate cake recipe to celebrate the 2.000 Likes. Instead I am presenting to you a real successful paleo pancake recipe. It's filled with cauliflower and broccoli. It's holding together beautifully with a mixture of eggs and coconut flour. It is very satisfying and light at the same time. It's very quick and easy to make. 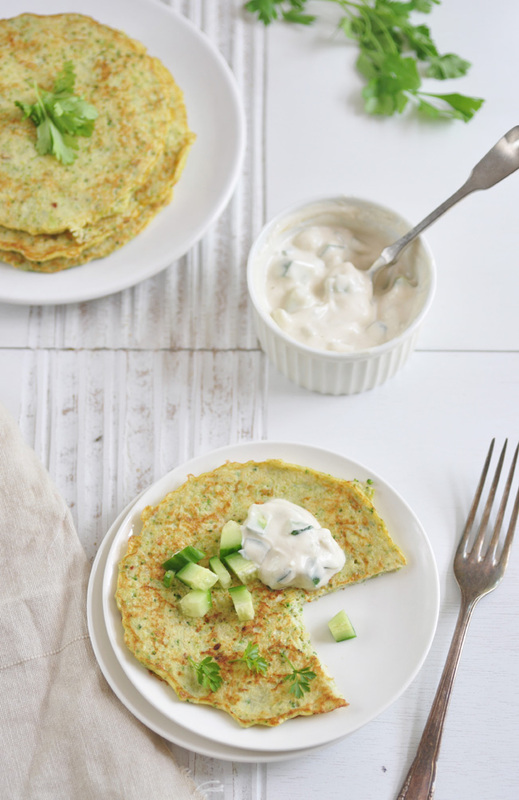 It can be extra refreshing with a yogurt dip and a salad on the side.